Picking the basil before the frosts hit. Lots of frozen pesto getting put away. The veg patch is a bit quiet at the moment as the Summer veg has finished and I replenish the beds for Winter. That being said, there are a few gems that are worthy of extended use. 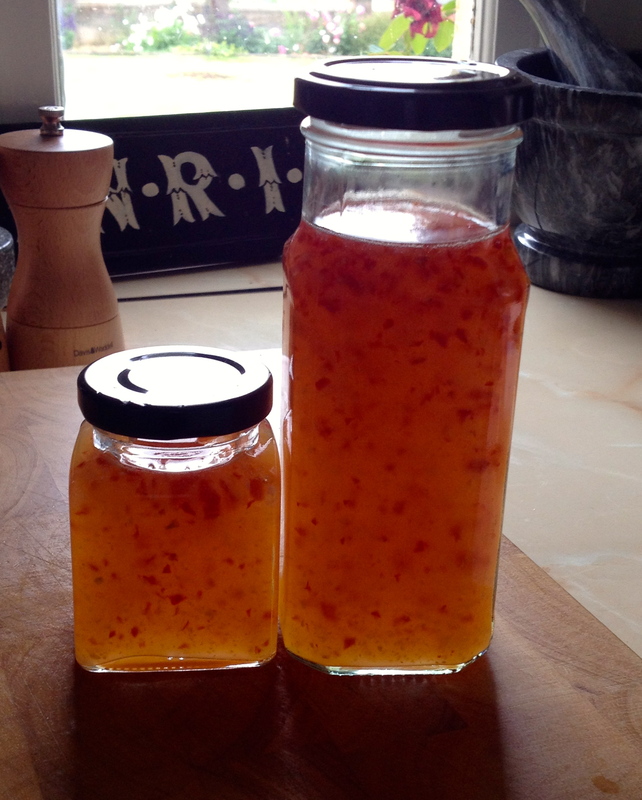 Tangy and thick, Chilli Jam. The chillies are abundant at the moment, particularly the orange Siam, the tiny bird’s eye Thai and the Jalapeño, so some bottled chilli stuff seems like a good idea. I already have chilli oil in bottles so am trying Chilli Jam for the first time. 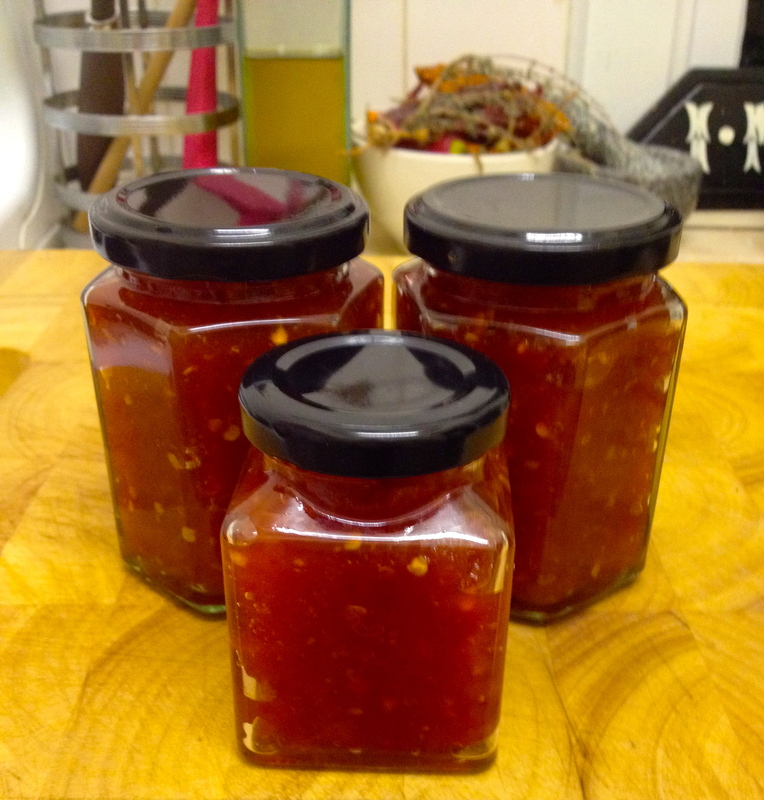 Some Sweet Chilli Sauce is also going into the pantry. 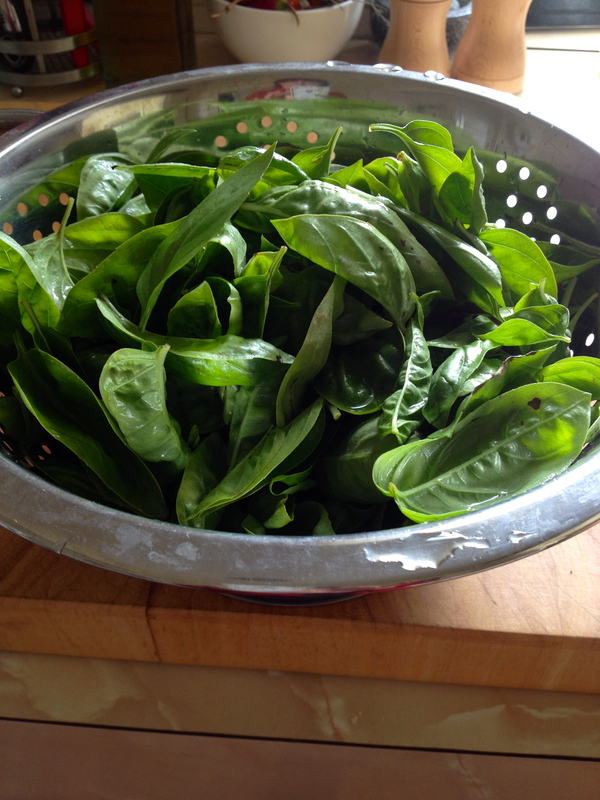 The tarragon has gone into white wine vinegar for future cooking escapades and the basil is contributing to pesto. 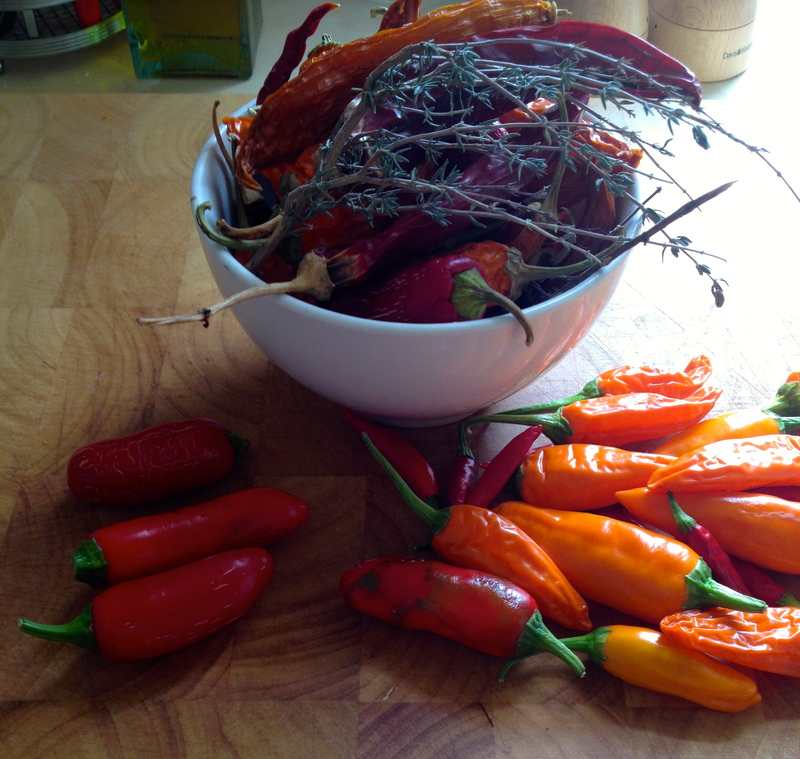 A healthy mix of chillies. 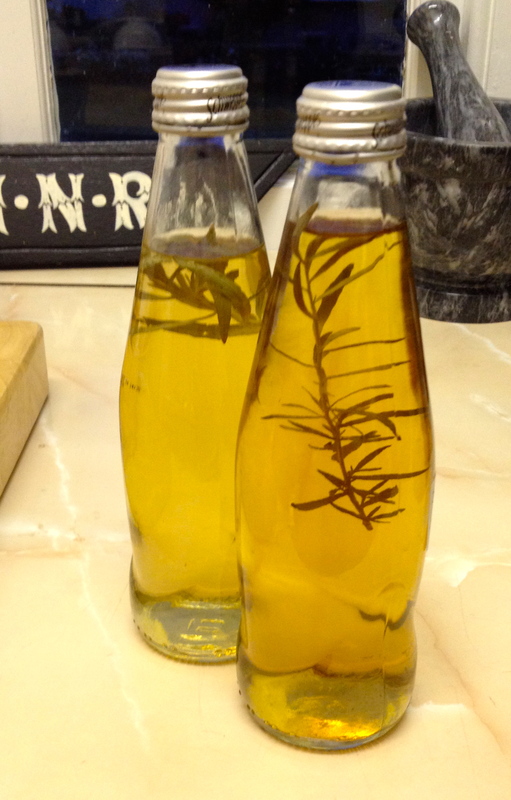 Tarragon Vinegar should be a good addition to the pantry.